Could plastic one day replace the glass wine bottle we all know and love? One winery is putting this question to the test. Despite the fact that plastic bottles don't allow wine to age or even last long for that matter, this winery is betting that they're going to make some paper by selling their wine in plastic bottles. Personally, I don't care if they want to sell their wine in Styrofoam cups. I just don't see myself going to the supermarket to pick up a bottle of this wine. Not only do I see plastic bottles as sacrilege to tradition of the wine world, I don't foresee that any sort of wine being bottled in this manner would be anything that I would ever want to drink. No respectable wine would allow itself to be stamped with a born-on date. So why would anyone in their right mind choose to bottle their wine in plastic? Aside from the novelty that plastic bottles would have in an otherwise inundated value wine market, the only positive thing I could imagine would be portability and the illusion of being "Earth Friendly". That being said, unless I was looking for something to drink on an airplane or a football game, I don't see myself reaching for a plastic bottle. This may work for very small sizes, but who the heck would walk around chugging a 750ml bottle of wine anyways? I mean, really?! What do you think? Have we gone too far in our quest to make some green by being green? 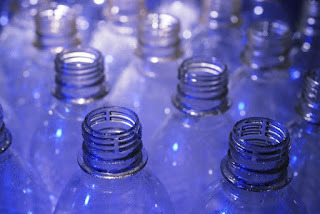 How could plastic bottles POSSIBLY be seen as an Earth friendly option? The idea of plastic wine bottles is completely rediculous! That's a great point as well about the plastic... are we really helping the environment by using it instead of glass? 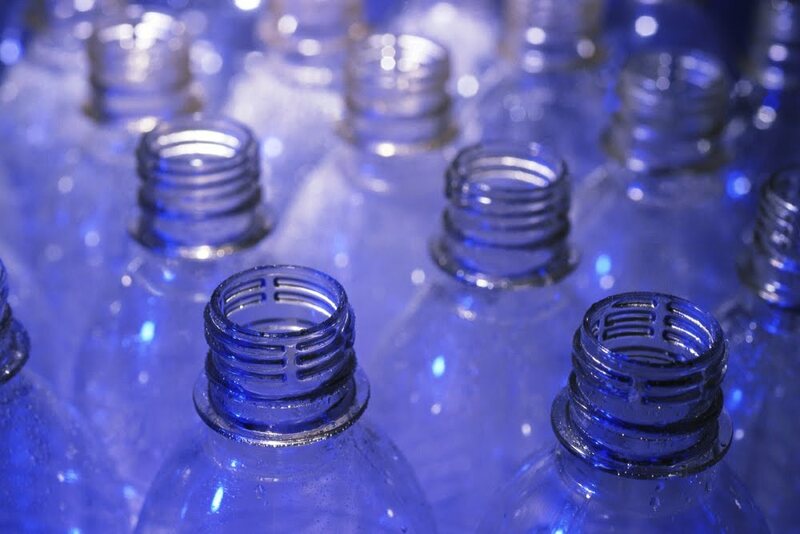 Plastic may not be as aesthetically pleasing as glass, but we do need to push the boundaries of packaging. The tare weight of a 750 ml bottle of wine can account for a significant percentage of the gross weight. This drives up transport costs - both embodied and explicit - and, by extension, drives up the cost to the consumer. The net effect of both is market suppression. Alright! Now we're talkin'! I was really hoping that someone would have something to support the argument that plastic bottles are better. The problem still remains that these bottles put a shelf life on the wine. Somehow I don't see Lafite ever deciding to bottle their $1000 juice in something that causes it to have to be consumed within six months. So really how large of a subset of wine are we talking about that would benefit from the reduced cost of this packaging? Alternative packaging can be great. As noted above, the mass of wine bottles means that when you're transporting wine from point A to point B, really you're moving glass with a little juice. Having hefted a plastic-bottled 750 ml wine, I'll say it's SUBSTANTIALLY lighter than a 750 ml bottle. Heck, a 1 L Tetra-Pak is about as heavy as a normal bottle... and you get 1/3 as much wine in the package. The plastic=ungreen argument can be partly negated by noting the lowered transport cost... and you can recycle the bottle. Yeah, if you landfill the bottles, that'd be bad, but beyond that I see it as a wash.
That being said, I see plastic bottles in use only for lower-end wines (I could see Barefoot doing it, for example. The ones that I've seen in stores -- Target, if you're interested -- were a Beaujolais and a Cote de Rhone). Not so much for trophy bottles... for the same reason you'll probably never see a Stelvin-capped bottle of Petrus. Most wine's meant to be drunk young. But just to be clear, I'm not necessarily an advocate of plastic bottles; I'm suggesting we need alternatives that are technically and environmentally feasible and that are acceptable to the market. I love the Tetra-Pak concept, especially the 250ml size. Perfect for a train commute, picnic on the beach or hiking. The downside for me is I just wish there was better juice in the container. Cheers! 6p00d83420a73d53ef - Dude, first of all, love the name! :) You hit the name on the head... we do need better alternatives... just not sure this one is it! If market prices were set based on transportation costs, I could see 6p00d83420a73d53ef's point being valid. But the prices aren't... some of our cheapest wines come from the furthest away (Australia, South America) while our most expensive wines are local. The best way to cut down on carbon emissions related to wine transport isn't making the packaging lighter, it's drinking wines made near you or transported with lower-carbon-emissions vehicles -- like trains. Jessyca, you bring up an excellent point that I did not consider: the best way to reduce waste is to purchase locally. I have to admit that I am a sucker for many of the pro-environmental marketing strategies that seem to be more and more prevalent. Honestly, I am confused as to what to believe and which ones (if any) make a real difference. In any case, I am loving the discussion. Anytime people have opinions on both sides, it makes for an interesting debate. 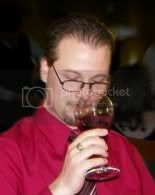 Phthalates in your pinot, anyone? No thanks. My prediction is that wine afficianados will flatly reject plastic bottles, but the fortified wine market might get stuck with it. Those same producers, which--like cigarette companies, are all about the bottom-line profits. And think how attractive they can make those 2-liter bottles look for the kiddies! I'm with Jessyca on making an effort to purchase locally. I remember buying bottles of Fiji water because (this sounds so lame now) I thought the packaging was pretty. It wasn't until I read a report about how STUPID it is to be importing something as heavy as water all the way across the globe. It's not like we don't HAVE water locally. That was it for me. I almost never buy bottled water anymore, instead using a refillable bottle. Have any wineries tried a exchange bottle program? If you turned your bottle back in, could the winery sterilize and re-use it? An exchange program would be awesome! I actually just threw away at least 100 bottles that I couldn't find any other use for. What a waste! What do you do with your empty wine bottles?